"Astroland Park, created at the dawn of the space age, mirrored the wide-eyed optimism of the early 1960s and helped Coney Island survive the closure of Steeplechase Park," writes Charles Denson in Coney Island and Astroland. 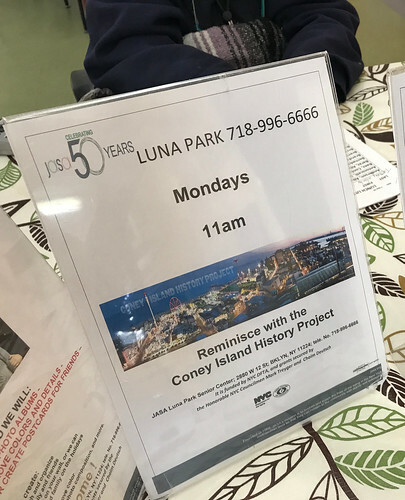 On Saturday, September 8, the Coney Island History Project will open special hours to commemorate the 10th anniversary of the closing of Astroland Park, Deno's Wonder Wheel Park will have a free movie screening in the Astroland Rocket, and former Astroland employees are hosting an Astroland Reunion in Coney Island. 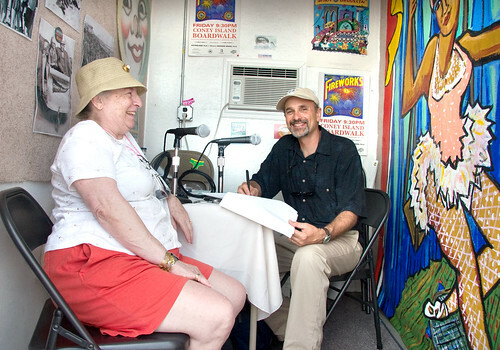 From now through September 29, the public is invited to enter the Coney Island History Project's Astroland Remembered Photo Contest on our websiteEnter the Astroland Remembered Photo Contest! and Facebook page. 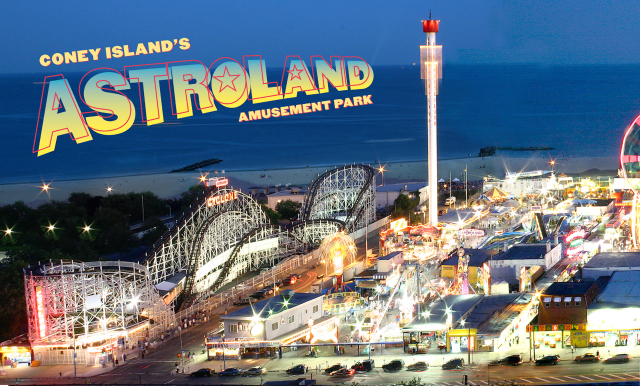 Share your favorite photos of yourself, family and friends at Astroland taken anytime from 1962 through 2008. Winners will receive an autographed copy of Coney Island and Astroland and a Coney Island History Project Walking Tour for you and three of your friends. Winning photos will be exhibited at the Coney Island History project next season on Coney Island's Opening Day! Astroland fans, friends and former employees are invited to visit the Coney Island History Project's exhibit center on September 8 from 1-5 PM to view historic artifacts, banners, signage and photos of Astroland's unique attractions including the Astrotower, Diving Bell, Rocket and Sky Ride. Admission is free of charge. Visitors may record their memories of Astroland for our oral history archive and bring photos to reminisce over and scan for our collection. 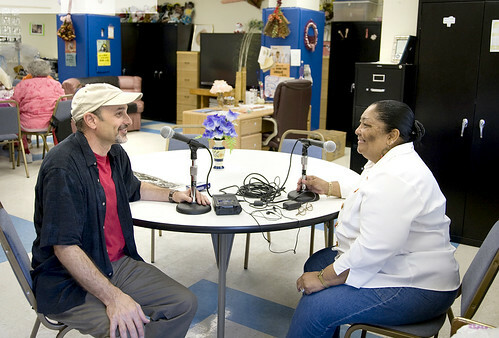 The Coney Island History Project was founded in 2004 by Carol Hill Albert and Jerome Albert in honor of Dewey Albert, creator of Astroland Park. 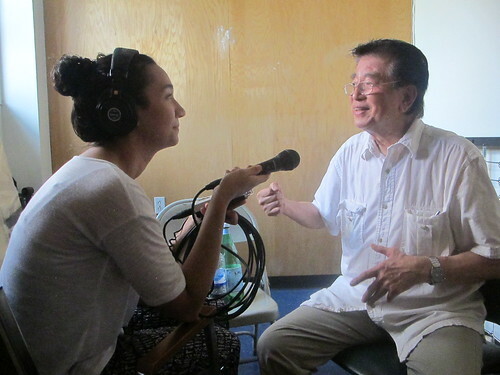 Ten years after the legendary park's closing, the heritage continues at the Coney Island History Project and Deno's Wonder Wheel Park. 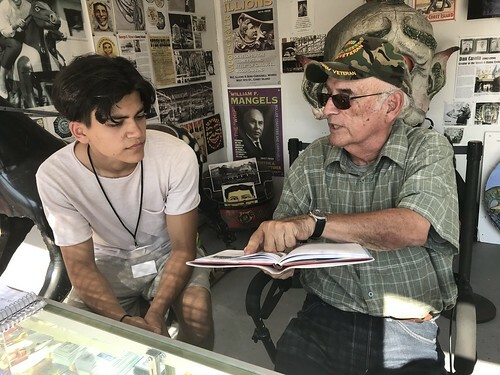 In 2014, the History Project teamed up with the Vourderis family, owners of Deno's Wonder Wheel Park, to bring back the iconic Astroland Rocket, which has a new home adjacent to the Wonder Wheel. 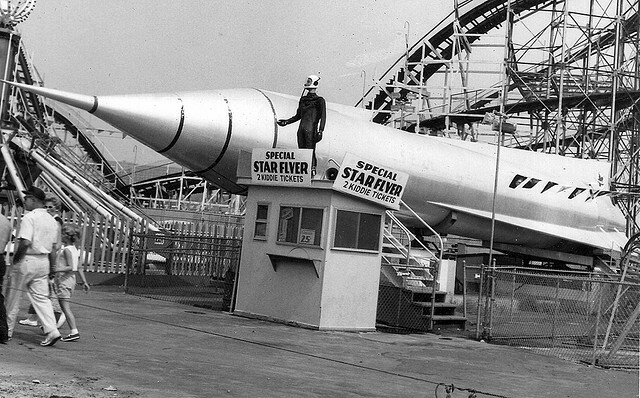 Originally built as the "Star Flyer," the Rocket was the first ride at Astroland and defined the park's space age theme when it opened in 1962. As one of the first of the "imaginary" space voyage simulators constructed during the Space Race, the attraction showed simulator films of "rocket rides" while the chassis "rocked" its viewers to outer space. On September 8, from 12-6 PM, visitors are invited to sit in one of the Rocket's 26 seats and watch the movie The Rocket Has Landed. The 18-minute film by Charles Denson tells the history of the Astroland Rocket and its journey back to Coney Island after being damaged by Hurricane Sandy while in storage on Staten Island. Admission to the Rocket and movie screenings will be free of charge. The giant gorilla from Astroland's Dante's Inferno has also found a new home, outside Deno's Spook-A-Rama, and stands ready to pose for souvenir photos. When Astroland closed, its rides went to parks around the world and one of the stars from its Surf Avenue gate joined the collection of the Smithsonian's National Air and Space Museum. Deno's Wonder Wheel Park's Barbieri bumper cars, the largest bumper car ride in New York City, is the only Astroland ride currently in operation in Coney Island. 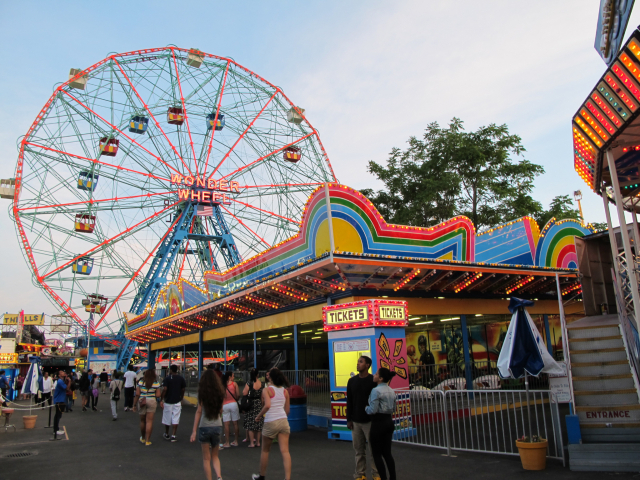 Go for a nostalgic spin under its magical rainbow-hued pavilion located adjacent to the Wonder Wheel. For ticket info, visit Deno's website. Deno's Wonder Wheel Park is open daily through Labor Day, and on weekends and school holidays through the end of October. 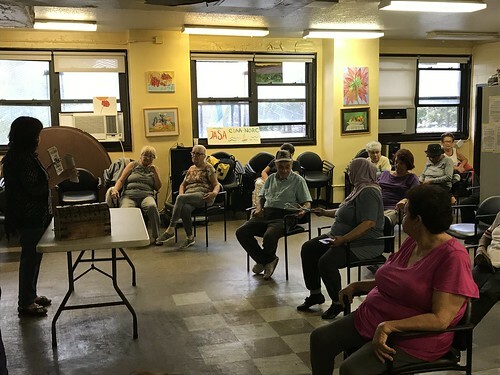 A group of former Astroland employees has organized a September 8th reunion with a BBQ and music from 2-7 PM at the Unknown Bikers Club on Coney Island's Bowery, next to the Nets store. All former Astroland employees and friends as well as the public are welcome to attend. Donation is $10 at the door. For information, visit the Facebook event page. Where is 'Coney Island Bowery'? Glad I caught this post last minute - hope to make the celebration next wknd, also catch the History Project exhibit before final closing. WRT the Astroland employee BBQ, I have no idea where/what the 'Coney Island Bowery' refers to: could you clarify with an exact location/address? The Astroland employee BBQ will be at the Unknown Bikers Club, an outdoor club on a lot where Henderson Walk used to be. It is between the Brooklyn Nets store (3015 Stillwell at corner of Bowery) and Dona Zita restaurant (1221 Bowery). Hope that helps!